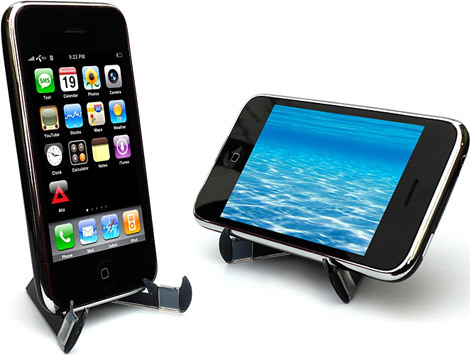 The €24.95 Support Clip Stand iClooly for iPhone 3G is now available at the MaxiMobileShop (www.maximobileshop.com). 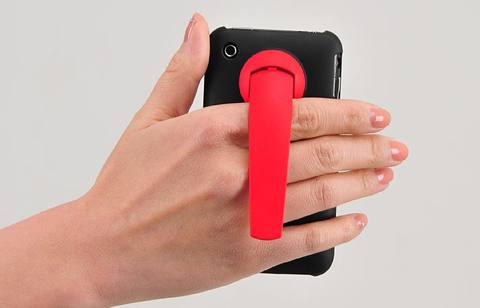 It is a perfect accessory that allows you to watch video on plane or train with your iPhone 3G and can be easily slip into your pocket. But I think €24.95 is a little pricey. Nice body 😀 More pictures after the jump.